Item Size W 78" x L 80"
800 continuous coil creating optimal overall comfort. Dual Edge guards. Unideck stabilizer support layer. New HOURGLASS Technology. 4" Layer of Thera FOAM. 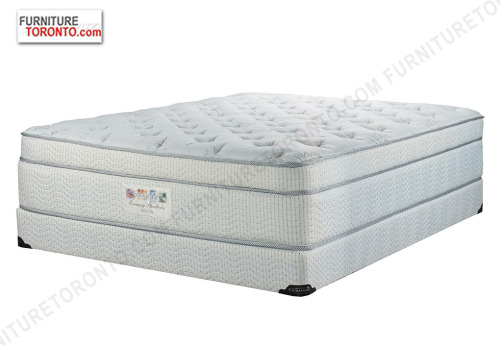 Multi quilted conforming package with 1 1/2" Convolute Foam & 18oz of Poly. Foundation.